Are you thinking about Email Marketing? 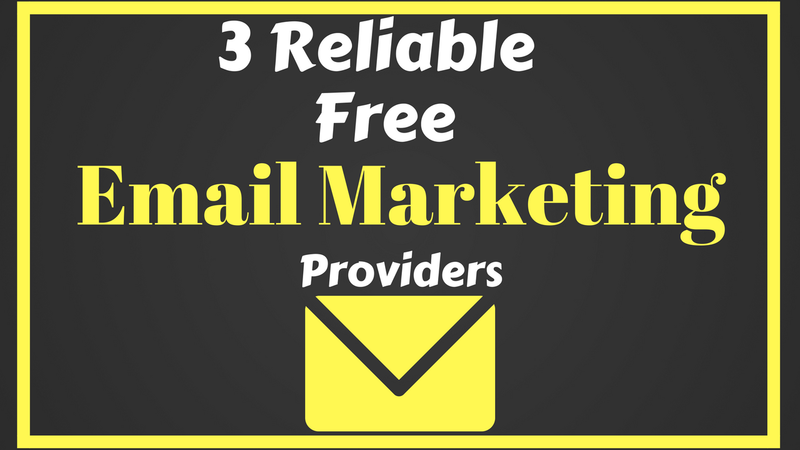 Are you searching for Free Email Marketing Service? So you are at the right place because this posts will help you a lot. Let’s make it more simple, Email marketing is an art of collecting emails of your visitors to make them your subscribers. It also helps to build community, by collecting email you can get in touch with your visitors whenever you want. You can send the notification of your new posts so they can visit and read your post. Many of the bloggers offer free stuff to increase their subscribers. It is a very effective way to increase traffic. I have seen many people who used this and double their subscribers. Email marketing is the best way to increase traffic and it also helps you to get more sales as well. Many of the beginners don’t use this because they think it costs too high. And they can’t afford it. But I want to tell you there are many companies who provide free marketing service instead of their paid plans. There may be some limitation of the free plans, you can use only the basic features of their service. I am using Mad Mimi’s free plan earlier days of StayMeOnline. It worked fine for me. With Mad Mimi’s free plan, you can add 100 subscribers to your audience list. You must upgrade your plan if you want to add more subscribers. You can create promotion, web form and even you can use RSS feed to send new post notification with automated emails. You can sign up for the Mad Mimi’s free plan here. MailChimp offers three pricing plans: Forever Free, Monthly, and Pay As You Go. When you create a MailChimp account, we automatically set you up with a no-cost Forever Free Plan. Free Plan is ideal for new users who want to collect subscribers and send email campaigns while learning about MailChimp’s powerful, built-in tools and features. You can remain on the Forever Free Plan as long as you have 2,000 or fewer subscribers across all lists in your account. You can create automated promotions for your email subscriber to update with your new posts. You can also create cool and awesome subscription forms. You can use MailChimp free forever by clicking here. This is a WordPress plugin which offers all the services which above companies offer and all these are free. You can create email subscription forms and also send the newsletter to your subscribers. I was using this before MadMimi. You can download this plugin by clicking this link. These are some free email marketing service provider there are many more companies like these but I have personally used these. That’s why I give them a place in my lists. I hope this post helps you if it does so, Then share this with your friend to help them. If you have any query so feel free to leave a comment here, you can follow me on Facebook and Twitter. Subscribe Our Newsletter to be a member of StayMeOnline Community of Internet Lovers. nice post and keep sharing with us. Hi Ravi, good post, but how come you didn’t mention MailerLite in this post. It’s the freest service that I could think of, isn’t it? Hey, Ali! It is… Thanks for adding value to the post. I will update it very soon.